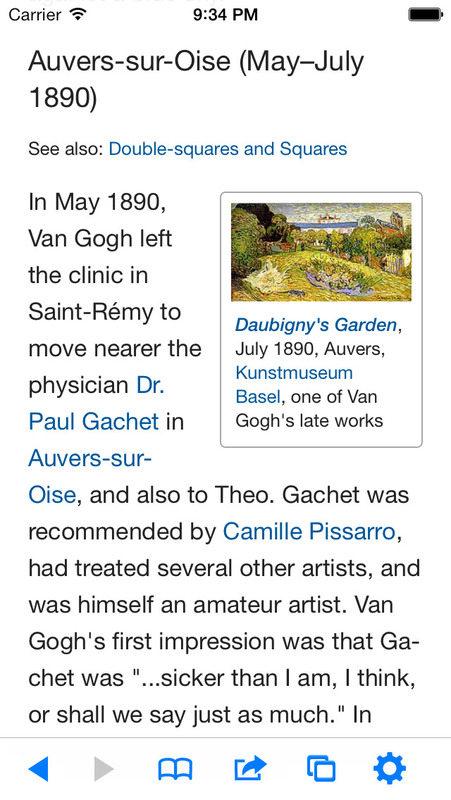 Wikibot is a beautiful Wikipedia™ reader that it a joy to get lost in Wikipedia. 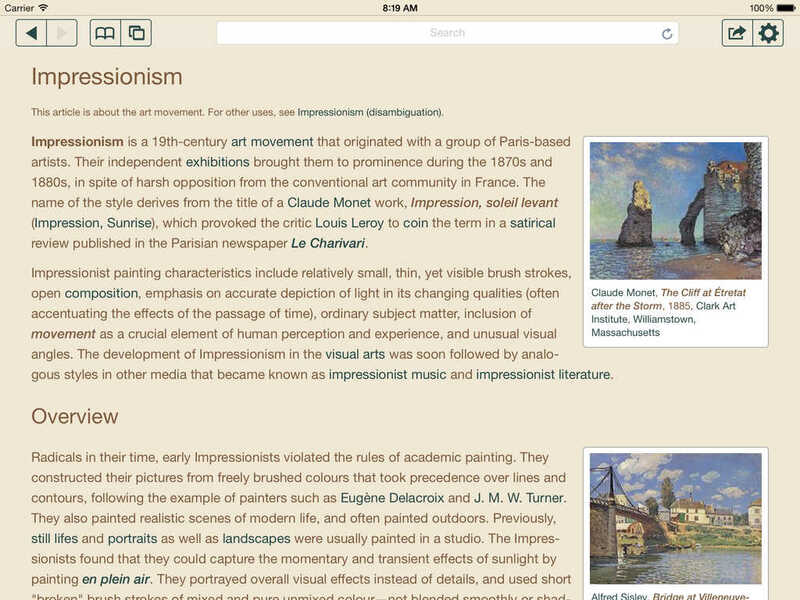 Based on the award winning Wikibot, Wikibot 2 has been lovingly rebuilt from scratch for iOS 8. If you need offline access to the complete Wikipedia corpus on your iOS device or Mac, please search for "Wiki Offline" on the App Store, also by Avocado Hills. WikiBots® is a registered trademark of iEdutainment, and is used with permission pursuant to a license from iEdutainments. Wiki Offline is a beautiful Wikipedia™ reader that does not require internet. 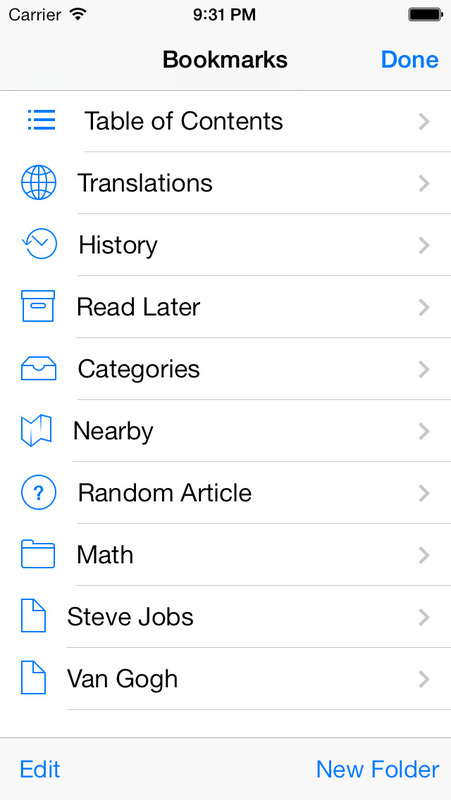 It has been lovingly rebuilt from scratch for iOS 7. If you're a traveller or a knowledge lover, this is your hitchhiker's guide. ◆ Works on an airplane, in a submarine, or anywhere else. No internet required. ◆ Available in English, Chinese, Italian, Arabic, Czech, Spanish, Russian, Dutch, Portuguese, Norwegian, Turkish, Thai, Polish, French, Hungarian, Farsi, Japanese, Hebrew, Korean, Swedish, Danish, Slovak and more! ◆ Database updates and additional languages available with a subscription (in-app purchase required). WIKIPEDIA is a trademark of the Wikimedia Foundation. We are not endorsed by or affiliated with the Wikimedia Foundation. 1% of net profits derived from the sale of this app will be donated to the Wikimedia Foundation. Other Apps by Avocado Hills, Inc.